A new philosophy developed one night while Colin and his wife Jessica were enjoying a chef’s choice menu at a Kansas City restaurant early in his career. 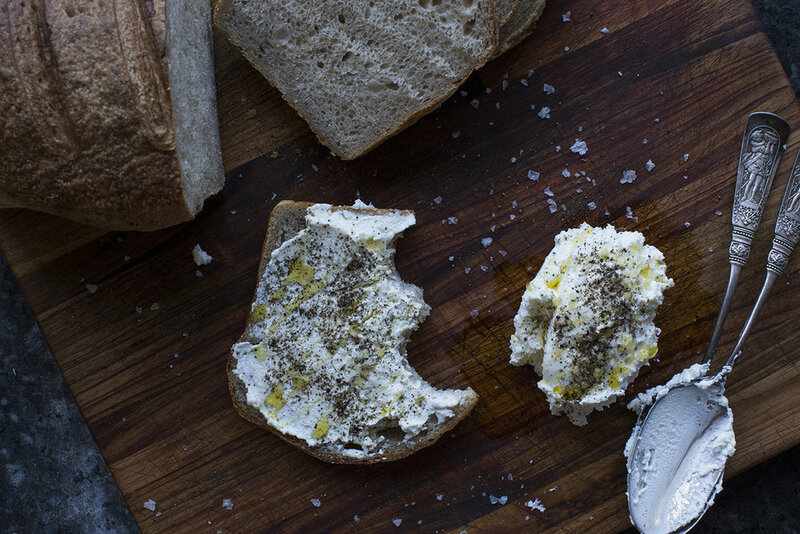 The first course was fresh-baked bread with some house-made ricotta cheese, some olive oil, and salt and pepper. So simple, but so delicious and inspiring. They decided that from then on, if something could be made in house at their restaurant, it would be. In a non-reactive pot, bring the milk, cream and salt to 190 degrees over medium heat, stirring regularly to prevent scalding. Stir in the lemon juice. As soon as the curd breaks from the whey, remove from heat. Let it rest for 10 minutes to completely separate. Line a colander with cheesecloth and set it up over a bowl in the refrigerator overnight to strain.